A marijuana plant is seen at a fair of products and derivatives of marijuana for medicinal use in Bogota, Colombia, on Dec. 22, 2015. 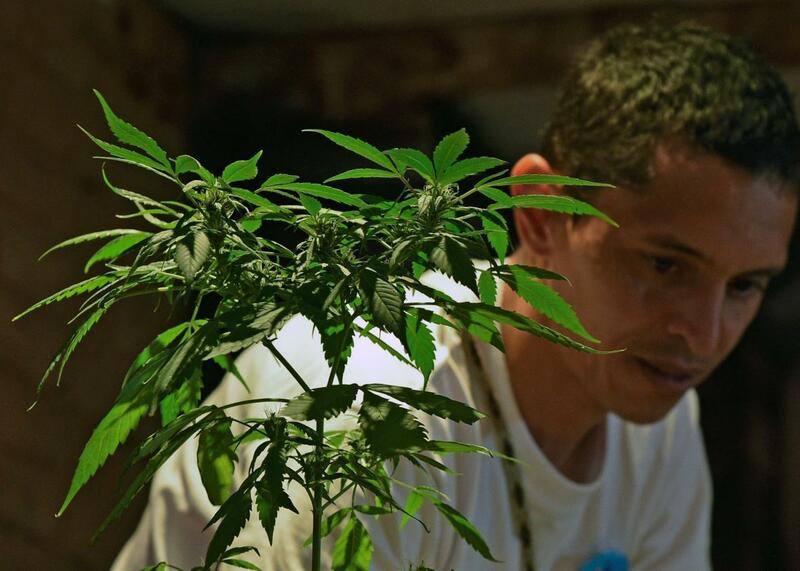 Colombia, a country that was once synonymous with illegal drugs, legalized medicinal marijuana on Tuesday. President Juan Manuel Santos signed a decree making its consumption, cultivation, purchase, and sale legal for medicinal and scientific purposes. Though a provision technically allowing medicinal marijuana had been sneaked into Colombian law in the ’80s, the law got stuck in a legal gray zone where government was never granted the power to regulate and control the sale and distribution of marijuana, and lived in obscurity—few knew it existed and even fewer took advantage of it. Santos said the new decree would change that, and that it was passed to put Colombia at the forefront of medical research and finding cures for diseases, as “Colombia hopes to join a slew of advanced, progressive countries like the U.S., Canada, and the Netherlands … that are using natural resources to make people’s lives better by fighting disease and alleviating pain.” He also gave assurances that Colombia’s commitment to fighting drugs and narcotrafficking would not be affected. Santos’ move is sure to be controversial. For five decades Colombia has had to deal with the enormous human and financial costs of narcotrafficking, narcoterrorism, the War on Drugs, and a decades-long drug-fueled internal conflict—and has relied on a strict policy of criminalization closely tied to and backed by the U.S. In 2000, Congress passed Plan Colombia, a mainly military aid package that makes Colombia one of the largest U.S. aid recipients in the world, and Colombia has followed the U.S.’s lead on drug policy ever since, making it the U.S.’s closest military and political ally in Latin America. It hasn’t exactly worked: As of November, Colombia is again the world’s largest producer of cocaine. Amnesty International called Plan Colombia “a failure in every respect,” most notably because the aid often flowed from the military to paramilitary groups and leftist guerrillas with a rich history of human rights abuses, only further “adding fuel to the fire.” Not only did Plan Colombia make the country’s conflict bloodier and messier, it required the aggressive crop spraying of glyphosate, a chemical that has been banned in much of the world for aerial crop spraying and ruined the legal crops of poor, rural, and indigenous communities. This forced residents of those communities to move from their lands, further exacerbating Colombia’s internal displacement crisis, making Colombians the second highest internally displaced population in the world after Sudan. When in May, a World Health Organization study came out linking spraying to cancer, skin and respiratory diseases, genetic abnormalities and miscarriages, President Santos finally ordered it to be discontinued. The decision was both lauded and criticized at the time: Stopping one of Plan Colombia’s main provisions was a clear and bold move away from U.S. drug policy, which added tension to Colombia’s relationship with the U.S. as the country began to forge its own direction in drug policy. With legalized medical marijuana, Colombia now joins other Latin American countries like Chile, Brazil, Uruguay—the only country in the world to legalize it in all its forms—and most recently and notably Mexico, which have legalized marijuana fully or in part, moving away from a U.S.-led drug policy that has been counterproductive and fueled instability and conflict for years.